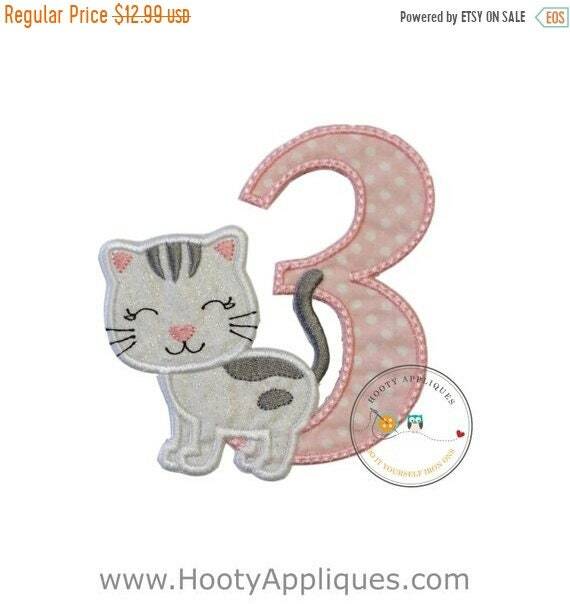 Kitten/cat number three birthday iron-on applique in pink and white dotted number and white. glittered cotton fabric for a kitten with gray embroidered stripes and embroidered details on kitten's face. 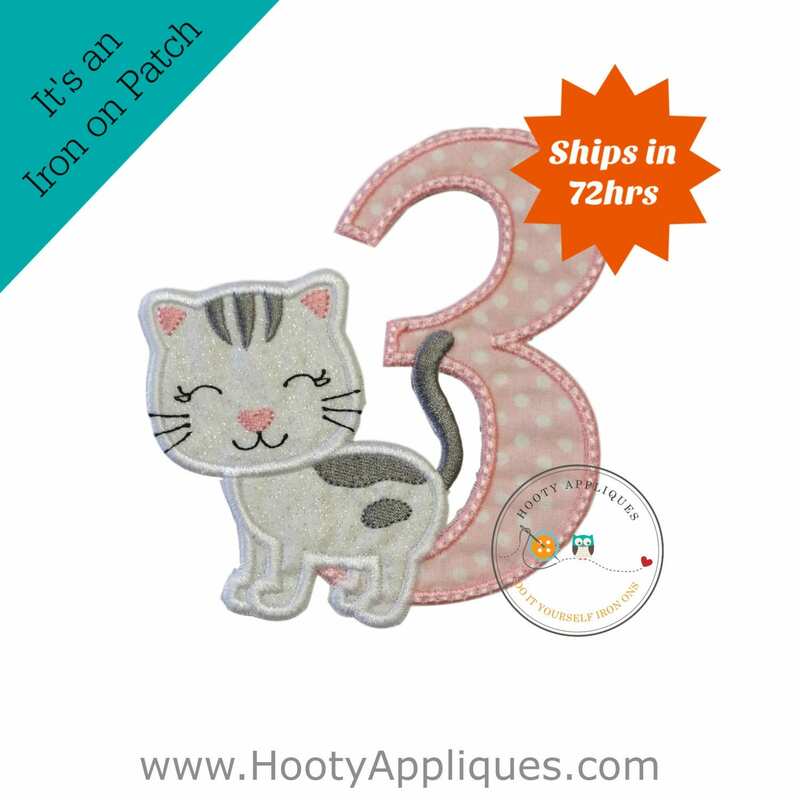 This is a perfect birthday patch for any little girl's cat/kitten birthday party. It is an easy-to-do afternoon project that will add life to any t-shirt, jacket, vest, or blanket. For a little girl's third birthday. *Patch measures 4.5 inches wide by 5 inches tall.